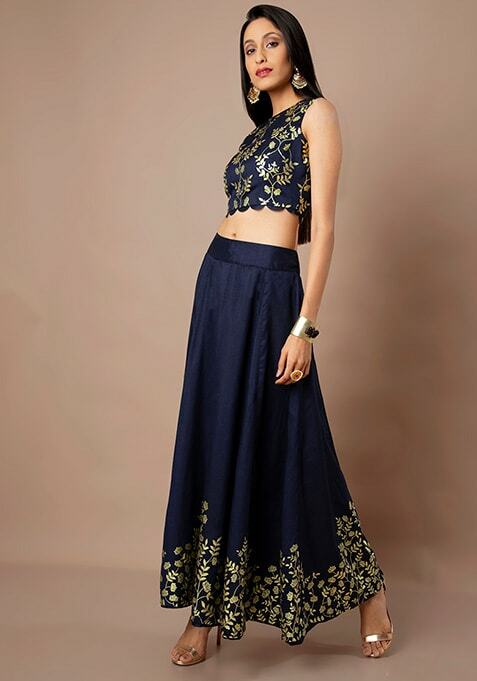 A navy skirt that evokes feelings of festivity. Features leaf foil border and concealed zip closures. Work It: Pair it with a dull gold top and net dupatta.